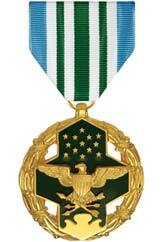 For meritorious achievement or service while assigned to a joint activity. 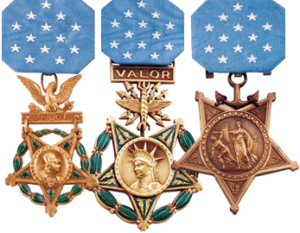 The Joint Service Commendation Medal was authorized in 1963 and is awarded to members of the Armed forces who distinguish themselves by meritorious achievement or service, and may further be awarded for valor in this line of service. It is awarded by the Secretary of Defense, the Joint Chiefs of Staff, or other Department of Defense agencies.